Many of us might not recognize the word Stye, but this eye condition is something that most will experience in their lifetime. Luckily the condition is rather simple to treat, and the majority of risks brought about by a Stye are small and rare to the general populace. However, if you’ve ever asked yourself what causes a Stye, then you should first know what exactly a Stye is. Also known as a Hordeolum, a Stye is an infection that is localized to the eyelid. The infection can be found at the eyelashes or within an oil gland that is found inside the eyelid. These two different types of Styes are called external and internal Hordeola. What causes a Stye is a form of bacterial infection. Staphylococcal bacteria are one of the most common types of bacteria that can be found in a Stye. 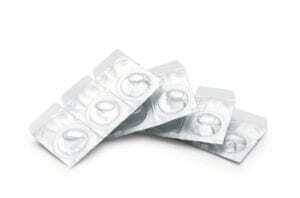 They can also be the cause of a variety of infections like UTI’s and various skin infections. 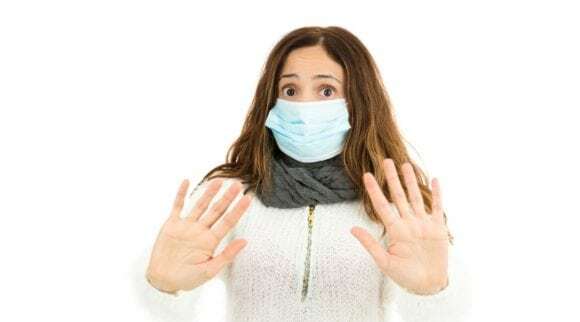 This can happen because bacteria that are normally found on our bodies, most commonly the skin or in a person’s nose, are relocated. Bacteria are easily transferred via our fingers from our nose to our eye when we rub one and then the other. 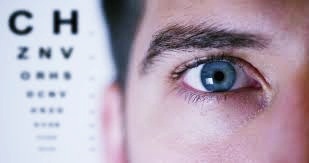 Everyone has a penchant for touching their eyes throughout the day after having touched other objects. This leaves us susceptible to developing a Stye. Despite us all carrying this form of bacteria on our own bodies, we can develop one from outside sources as well. If you know what causes a Stye then you should be aware of what the first symptoms are so that you don’t confuse it with other similar eye conditions. 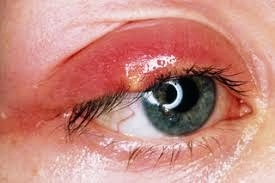 One of the first symptoms of a Stye is redness, swelling of the eyelid and pain or tenderness of the affected eyelid. Redness and swelling of the eyelid are just two of the symptoms of a Stye though they are among the first that can indicate a Stye is forming. Most people can recognize a Stye by its appearance… a red bump that is found either inside the eyelid or along the outside of the eyelid along the eyelashes. However, it is important to note that just because you have similar symptoms of what causes a Stye, you could still be suffering from a different eye condition as many have similar symptoms. 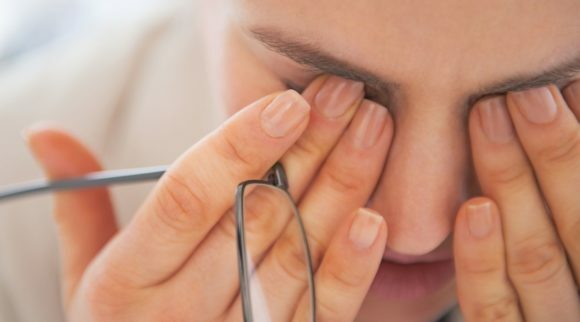 When it comes to what causes a Stye, there are a few things that you need to be aware of, from how it might affect your vision, whether or not it’s contagious and what exactly a Staph infection is. Knowing these things can help you if you plan to do at-home treatment so that you know when to seek out treatment from a doctor. It is important to consider all of these things when it comes to taking care of your Stye. 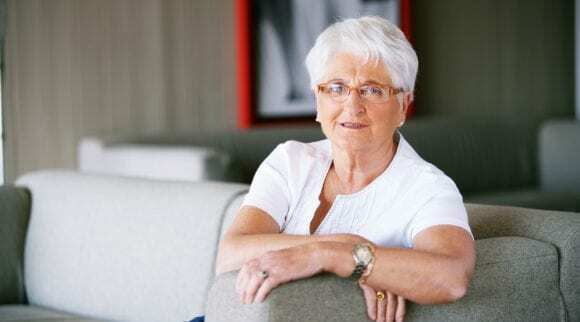 The majority of people with a Stye will not have any impairment to their vision whatsoever. What causes a Stye doesn’t pose a large threat to the eye itself because of how the Stye is formed. Styes aren’t considered all together dangerous since they normally resolve themselves. Although, there are some risks involved when a person does have one. The important thing to remember about having a Stye is that if it is having an effect on your vision that it might not be a Stye. If there are changes in your vision when you think you have a Stye or if your symptoms worsen then it is time to seek out a doctor. If a Stye hasn’t resolved itself within 7-10 days than the condition itself is no longer just a Stye. It’s important to note that the bump of a Stye can last longer than the actual infection, up to 2-8 weeks after the resolution of the infection. 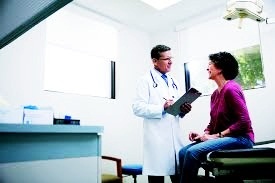 Seeking medical care as soon as you have a change in vision is important as a loss of vision can happen if an infection damages the surface of the eye. The infection found in Styes is formed by various types of bacteria, though outside sources could be to blame for what causes a Stye. The important thing to remember is that a Stye can be contagious because bacteria can be spread via our hands. You should be aware that if you have touched your eye you can pass it along to someone else. It is best to keep your hands clean and avoid sharing things like pillowcases, washcloths, and towels while dealing with a Stye. The number one infection behind what causes a Stye is a staphylococcal infection, this type of bacteria is most commonly found on our skin like that of our hands or inside the nose. There are many different types of Staph infections, but in most cases, the Staph bacteria isn’t something new. 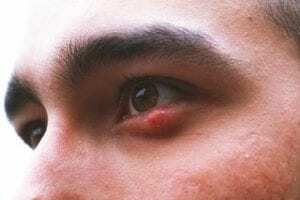 Surprisingly the majority of people carry some form of staph bacteria on their bodies somewhere and there are a large number of those people who never develop a complication from it like that seen in a Stye. However, if you have developed a Stye it’s more than likely that you’ve been carrying the staph bacteria around for a while as the bacteria has a long lifespan. Staph bacteria can survive outside of the human body on inanimate objects long enough to be transferred to another person via contact with that object. This is one of the reasons why those who have Styes shouldn’t share towels or other objects until the infection clears up. What can Staph bacteria survive? Staph infections are common, and most people will have at least some form of this infection throughout their lifetime. The infection can be found throughout the body and manifests itself as different complications like that of a skin infection with boils or cysts, or a UTI – which is an internal form of the same bacteria. In the case of a Stye, it appears as a red bump. When it comes to what causes a Stye you have to be aware that even if you think that you may have a Stye that there are other eye conditions that have the same symptoms and may even present themselves in a similar manner. Three of the most common eye conditions that present similar symptoms are a Chalazion, Milia, and Xanthelasma. Although it is often mistaken as a Stye, a Chalazion is just an enlarged oil gland that has become blocked. It closely mimics a Stye in that it has a bump that forms in a few days, but one of the main differences is where it is found. Chalazia have a tendency to appear farther along the eyelid than what Styes do. Chalazia are also not painful, whereas Styes are. That does not mean that you automatically have a Chalazion if it is outside “normal” Stye behavior, as Styes can form anywhere on or inside the eyelid. Just like what causes a Stye, a Chalazion is the blockage or introduction of bacteria that affects a part of the eyelid. The bump of the chalazion can last for several months or years, however, if the condition persists then your doctor may choose to inject a steroid to help clear it up. If this doesn’t work, then a doctor might be forced to drain the bump left by a Chalazion. 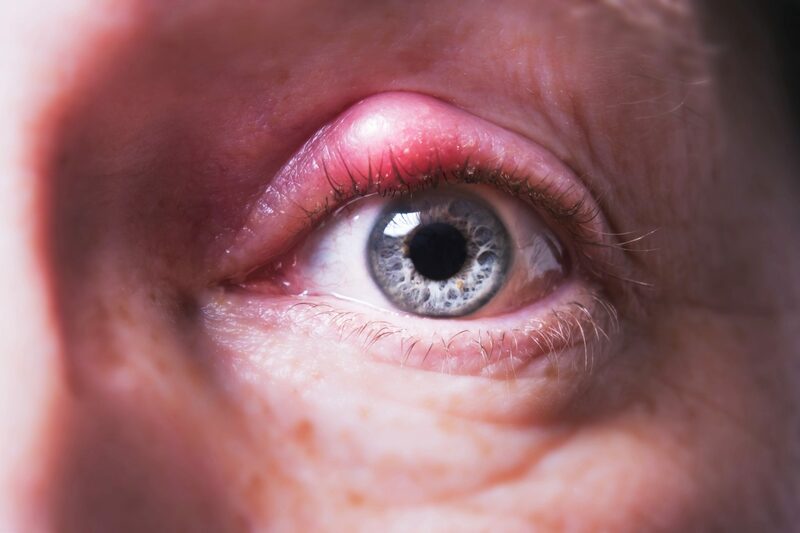 Commonly referred to as “Milk spots” or “Oil seeds” a Milia is a small white cyst that is normally found on the epidermis or outer skin of the eyelid. Unlike a Stye, Milia can be found other places than just the eyelid, it can also be around the tissue of the eyes and nose. Unlike what causes a Stye, Milia are caused by dead skin that is trapped in pores and hair follicles. Our dead skin is supposed to slough off naturally but when it doesn’t it can lead to clogged sweat glands and hair follicles. If the dead skin isn’t removed, then a Milia can form. Although Milia are most commonly found in newborns where they typically clear up in a week or two, in adults, additional treatment is required. Most adults will need treatment from a medical doctor as the Milia is removed via a surgical excision. No stitches are required after the removal of the Milia. Milia is considered less likely to happen than its counterpart condition, a Stye. Considered a subtype of a condition known as Xanthoma, Xanthelasma is a skin condition that appears as yellow bumps, also referred to as plagues. These bumps are under the skin and occur around or on the eyelid which can be why many people think that they have a Stye when they don’t. A Xanthelasma usually looks like a disk-like lesion with defined borders and can range in size from a few millimeters up to three inches. This broad size rules it out as a Stye which is a localized red bump. 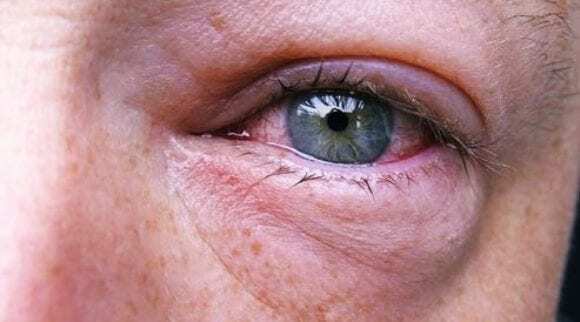 Unlike what causes a Stye, Xanthelasma is caused by a build-up of fats, the most common of which is cholesterol and it is often linked to elevated lipid levels like that found in high cholesterol. These plagues are non-cancerous though they can show an increased risk of cardiovascular disease. If you stay mindful of your cholesterol you can reduce the risk of developing these plagues. Typically, surgery is not needed, but it can be an option to remove these plaques or lesions and is performed for cosmetic purposes. Now that you know what causes a Stye, it’s best to learn how you can prevent them. Stye’s themselves are caused by bacteria, the most common of which is Staph bacteria and although you can’t totally remove the chance of being exposed to bacteria, you can reduce the risk of contamination to your eyes. What causes a Stye is some form of bacteria, bacteria can be introduced in a variety of means but in the case of a woman it can be because you wear makeup on a daily basis. Although makeup doesn’t come with a best by date as many foods today do, there is an expiration date. The expiration date is by no means a go-to solution to know when to purchase new products, if in doubt on when to replace your cosmetics you should think about the type of makeup you use and how often you use it. When it comes to what causes a Stye, anything that is coming into constant contact with your eye could be at risk of spreading bacteria. Makeup has a larger impact on the introduction of bacteria because of how often makeup is used. If you’re unsure when it’s time to replace mascara keep in mind that every time you replace the brush into the tube you are introducing bacteria to the product itself. It’s best to replace this cosmetic every 3-4 months in order to reduce the risk of developing a Stye. If you’re concerned about what causes a Stye then be aware that continued use of the same brush or sponge could be contributing to the introduction of bacteria to your skin, including your eyes. Liquid foundations can clog the pores of your skin, but just as bad they promote the spread of bacteria with how they are applied. Try not to use your fingers to apply this makeup as the contaminants on your fingers will be introduced to the makeup, instead use a clean brush or sponge and replace these tools often. Liquid foundation can be safely kept for up to a year so long as it is kept away from heat. One of the longest lasting products is powders, the only reason you would need to throw this makeup out is if you notice a change in color or a sudden change in smell. These types of products can be used anywhere from a year to 2 years. Like liquid foundations, it is important to use a clean applicating surface and not to use your fingers. Doing so will help to reduce the likelihood of the introduction of bacteria which is what causes a Stye. Replacing old makeup products in order to avoid what causes a Stye is important, but equally important is to remember not to share cosmetics. Many women do their makeup together for special events or even just touch-ups while out. 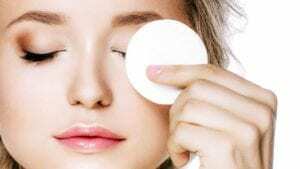 This may seem harmless, but the fact is that you’re not only introducing foreign bacteria that comes from your friend’s bodies into your makeup products, but you are also putting yourself at risk of developing a Stye. If any of your friends already have a Stye they could be directly infecting your cosmetics thereby spreading the infection to you. 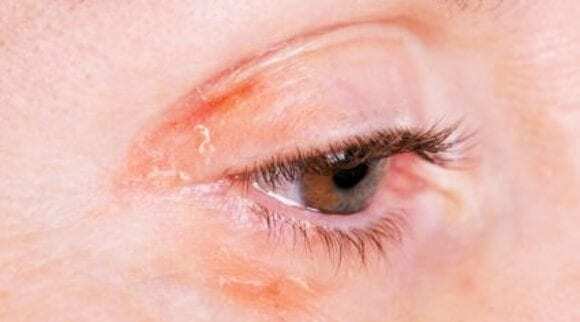 Makeup may give you that extra glow, but it comes with the added risk of carrying bacteria which is what causes a Stye. However, if you’re replacing your makeup accordingly then you’ll have a lower risk of developing a Stye. Replacing your makeup doesn’t mean that you don’t still have a risk of developing one, as failing to remove your makeup is just as bad. Anything that clogs your pores or has the opportunity to introduce foreign objects into your skin can potentially help bacteria grow. Make sure that you remove your makeup products every night, and the use of cleansing wipes or remover designed for the eyes and surrounding tissues will help ensure that there aren’t any particulates left behind. 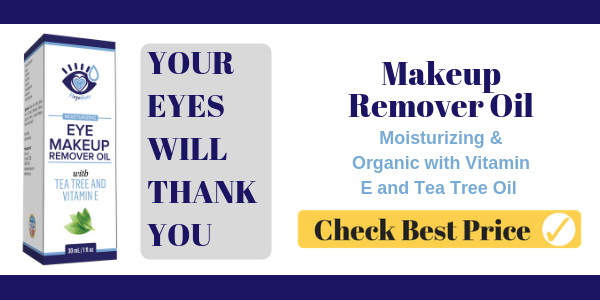 We recommend Heyedrate Eye Makeup Remover Oil. One might think that this is obvious, but thousands of people go all day long without washing their hands throughout the day. We come into contact with a variety of surfaces and textures; our money, for example, is a breeding ground for bacteria. It exchanges hands many times and this exposes us to the germs of people before our possession of it. Remember to wash your hands after handling money, using the restroom, or touching other surfaces. 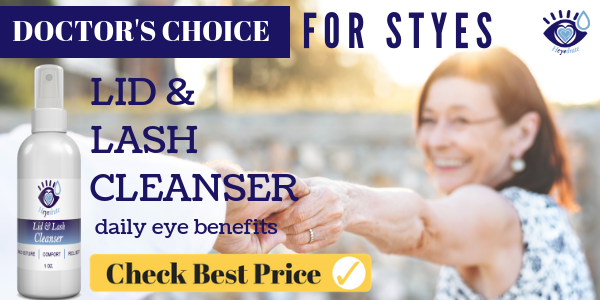 This will help reduce the likelihood of being exposed to bacteria that causes a Stye. Although, they’re an excellent option for vision correction, especially for those of us who don’t want the hassle of glasses or undergoing surgery, contact lenses come with some inherent risks. There are many different types of contact lenses, including overnight, daily, or even monthly. Each of these types has a different expiration date and should be changed accordingly. Using contact lenses longer than advised can cause damage to your eyes and introduce bacteria which is what causes a Stye. No matter what type of lenses you use, or how often it is advised to replace them, maintenance is also key if you want to protect your eyes from bacteria or the chance of developing a Stye. Cleansing products for contact lenses used to disinfect the lenses are an important facet of lens care. Ensuring that the lenses you’re using aren’t torn or have any disruptions to their surface can help reduce the threat of infections. It’s important to know that even if you do all the things above you will still have some risk of developing a Stye as you cannot rule out all bacteria. However, you can severely limit your exposure by taking proper steps. Simple things such as washing your hands before and after handling various items such as towels or using makeup can help reduce the likelihood of contaminants entering your eyes and being what causes a Stye. We touch our eyes hundreds of times a day often with hands that haven’t been washed in a while. As a result, this introduces foreign agents into our eyes and promotes a breeding ground for bacteria. This includes the bacteria that can lead to Styes. Treatment at home for what causes a Stye is simple and effective, but there are a few things that you still need to know if you plan to treat it at home. Although, many would assume that you could treat a Stye like any other skin condition, the fact is that there is more to it. The presence of a Stye can lead to more bacteria entering the eye and that is something you want to avoid, here are some things that you need to know before you treat at home. What causes a Stye is bacteria that becomes trapped, this results in a pimple like bump that becomes red, inflamed and painful. It can many times be tempting to simply relieve this bump by dealing with it as you would a pimple, however, a Stye isn’t a pimple and with its placement on the eyelid, it is dangerous to do so. A Stye will naturally rupture and often times heal all on its own, and this reduces the likelihood of further bacteria entering the eye. Unlike an external hordeolum, an internal hordeolum might not heal on its own. Because of its placement inside of the eyelid the Stye may not rupture on its own. In this case, you will need to see a doctor, the doctor will examine the Stye and determine if it needs to be drained. An internal hordeolum is more of a threat than an external one since it has direct contact with the surface of the eye and any bacteria that is expelled can affect the eye itself. In the case of an external Stye, there are some things that you can do to help it along in the process of healing. Applying a warm compress to the area will help to relieve the pain a Stye can cause as well as help bring the bacteria forward. Bringing what causes a Stye, bacteria, to a head will increase the likelihood of it rupturing on its own which will speed up the amount of time it takes to heal. Applying a warm compress 10-15 minutes over the course of a day will not only make the surrounding tissue feel better but could also have that Stye taken care of in a blink. We recommend using the Heyedrate Warm Eye Compress as well as Heyedrate Lid and Lash Cleanser. In rare cases, a Stye may choose to stick around, despite your best efforts to get rid of it. A Stye comes with a few symptoms and on their own they’re annoying, but if they persist or develop into something more then there might be more to that bump on your eyelid. The majority of these symptoms suggest that there might be more to the simple bacterial infection most commonly seen in Styes. In the case of worsening symptoms, you should seek out your family doctor in order to make sure that the Stye hasn’t developed into another type of infection. If you have recurring Styes then you should seek out a doctor and become more aware of your eye health. 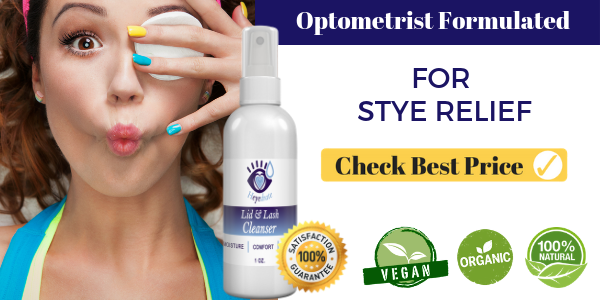 An antibiotic ointment could be prescribed to help prevent further infections from developing, similarly, you can find eyelid cleaning products, such as Heyedrate Lid and Lash Cleanser, designed to help with the maintenance of overall eye health. To reduce the occurrence of Styes you need to know that the bacteria that causes a Stye is everywhere and it is impossible to avoid it. However, you can take steps to limit it. Wash your hands often and try not to touch your eyes when they haven’t been washed recently. What causes a Stye might be easy to recognize once you’ve seen some of the leading causes that might be a part of your daily routine. Be it makeup or contact lenses, sharing items such as towels or pillowcases increase the threat of developing a Stye. Our vision is precious and easily damaged. Although the majority of Styes are harmless, any introduction to bacteria to the eyes puts you at risk for serious eye conditions. Developing a Stye should be a wake-up call, if you develop one there may be something that you can work on if you want to reduce the likelihood of developing another one.